See Picture for pricing... Email any questions.. All New, All Warrantied. Interested in a mug press machine, do you have pics. and prices? 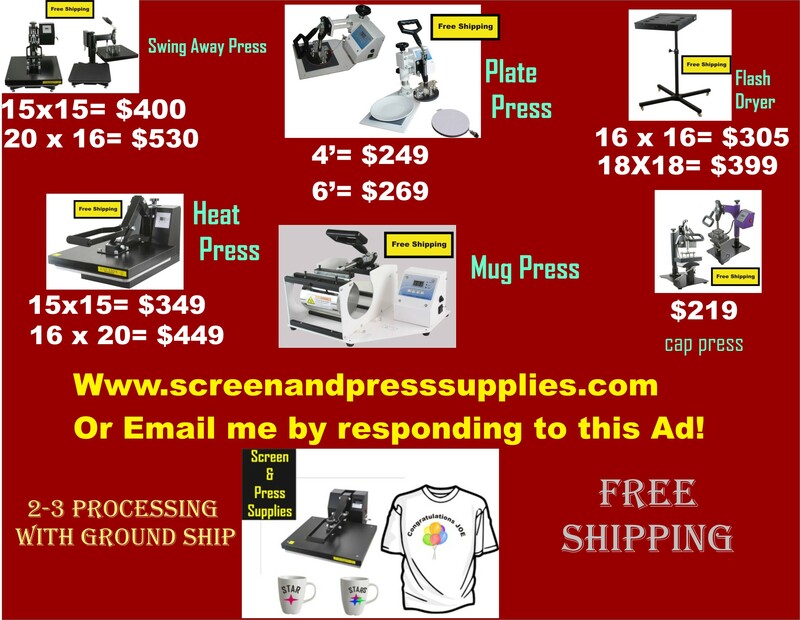 There is no listing for a mug press on your website? Do you still have one for sell and how much? What name brand are they?